Aleksandar Dimitrijevic. A name as difficult to pronounce as it is important to remember. Composer Aleksandar Dimitrijevic has been working in the trailer music industry for over ten years now and since then his music has been used in over 100 Trailers and TV Spots. To give a little impression of his credits I would like to start this interview with his first trailer placement ever and how it all came about. ‘With Great Power’ actually was one of Alex’s first two tracks he had composed for trailers and together with ‘Epicon’ it was picked by trailer music company Immediate Music to be included on their second album of their very successful ‘Themes for Orchestra & Choir’ series; recorded live at Abbey Road Studios, London, where not only legendary Film Scores like Star Wars were recorded but also The Beatles and Pink Floyd. At the time of the recordings I was still full-time employed at a Video Games Production company in Norway. When ‘Themes for Orchestra & Choir 2′ was recorded, I had to take a Friday off. I literally went from my office to the airport, went to London and then next morning I was at Abbey Roads overseeing the recordings of my two tracks, which were the first two trailer tracks that I ever wrote – and those were ‘With Great Power’ and ‘Epicon.’ Then Saturday evening I went back to Oslo and on Monday I was back to the office like nothing happened. It was really bizarre. Then I remember that one year later I was at work checking trailers and there was the ‘War of the Worlds’ trailer. I sat there and asked myself, “Is that my stuff?” That really was quite something and that’s how it started. Then I thought I could quit my job and give it a try. And here we are ten years later. Yes, here we are and here is one of Alex’s favourite recent placements. 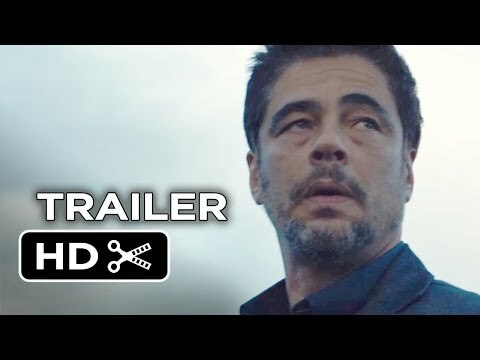 You can hear his track ‘Mayday,’ published by Immediate Music on the album ‘Violations I,’ from the 1:22 minute mark onwards in the official theatrical trailer for Denis Villeneuve’s upcoming thriller ‘Sicario,’ starring Emily Blunt and Benicio Del Toro. After ten years of work for Immediate Music and some other major publishers of music for media, like Epic Score and Fired Earth Music, he has just released his first public compilation album ‘DECADE’ through Immediate Music’s record label Imperativa Records. As in most of the cases in the trailer music industry, most of the tracks have never been purchasable by the public before, but were only available for trailer editors. When I worked with Yoav [Goren; NB: Co-Founder of Immediate Music] on the album, I wanted to include everything people were asking me to release to the public over the years. This now amounts to more than half of the album. Then, apart from some other tracks, I also picked many pieces from ‘Subliminal’ which is in my opinion a nice album to listen to. Overall I wanted ‘DECADE’ to be a compilation album that is good to listen. On eleven tracks we made some changes for the release: Some of them are a bit longer and some of them got reverted to their original states because they had to be changed during the production process. Additionally he composed the title track ‘Decade’ which is the last of the 25 tracks on the album. While you will get to know how Alex started his career, you can listen to the album preview below. ‘DECADE’ is available for purchase here. I always imagined movie composers and composers who work with orchestras, doing these amazing things, as 85-year-old guys who all have their academic degrees and big beards. Basically that everyone looks like John Williams. From that point of view I was thinking that movie scores are something I adore but that of course I couldn’t ever do that myself. Then when I got the internet in 1996 it was quite liberating because it opened up so many opportunities to read interviews and to learn about these things. 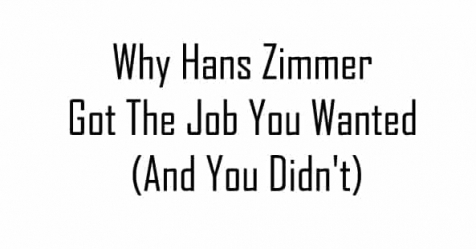 I started reading about Hans Zimmer. At the time I didn’t even know how he looked like; so in my mind Hans Zimmer was probably just another guy with a big beard and 85. But then I read about his background and how he started as well as how he works. After that a lightbulb went up and I realized this was not different from what I was doing at the time: I played guitar, I learned producing, I was self-tought in terms of arranging and orchestrating. That was the key moment in my early twenties when I decided to really give this a go. So from there on I got some books and started learning. Everything he learned about composing, arranging and orchestrating he taught himself during constant night shifts: After finishing high school Alex went to study languages at university. However, most of his time he spent on learning more about computers, working with Cubase as well as on gathering experience in music production and in programming synthesizers. After his brother went to work at a Norwegian video game production company as a software developer and animator, Alex shortly after got the chance to follow him and so he made his move from Serbia to Norway in his early 20s. For about five years he then worked as a Sound Designer at the same video game production company. While enjoying his day job, the circumstances only left him the nights to explore the worlds of composition and everything else you needed to know. This in return resulted in only three to four hours of sleep each night. In this period he also got to know Thomas Bergersen, co-founder of trailer music company Two Steps From Hell. The main reason was not that both lived in Oslo at the time but because both were heavily interested in composing orchestral music with samples. Not many musicians were interested in it back then and when Alex and Thomas got to know each other in 1999, only two orchestral sample libraries existed. So the whole approach was very new to everyone. For Alex is was a great opportunity to test and train his orchestration skills because without having studied at a music academy it was pretty much impossible for him to get access to an orchestra. Then when he felt ready for trying to make a living off composing he decided to really pursue it and that was shortly before he went to Abbey Road in 2004 to record ‘With Great Power’ and ‘Epicon.’ Fun Fact: ‘With Great Power’ became so popular over the years, after people outside the trailer music industry got hands on it, that there even exists a Misheard Lyrics version of Alex’s track. You can find it here. Slowly coming to an end of this article there is one other recent placement to mention, that Alex was very excited about on a personal level. It was the trailer for ‘Attack on Titan (Shingeki No Kyojin).’ Alex has been a big fan of the original Japanese Anime for many years and also describes Hiroyuki Sawano’s work on the score as “just incredible.” You can listen to Alex’s favourite piece from the score here. The trailer below features Alex’ track ‘Dark Side of Power’ from the 0:22 minute mark on. You can listen to it performed live here. Every time I feel lazy I just try to find a recent Desplat interview to get myself back up. Compared to him we’re all very lazy. I like following the trend so that I can change the trend or that I can express myself within it. Otherwise it’s just writing the same things all the time. I will listen to Periphery, then I will switch to Olafur [Arnalds], then I will listen to some Penderecki before I’ll finish it off with Hans Zimmer’s score for Interstellar. I think over the years this craving for more interesting and more different music just got bigger. I really think it helps at what I do because I can sneak these influences in from all over the place into this tiny, restrictive trailer music form. From this restrictiveness I feel very challenged. This challenge of still managing to express myself, to experiment with the different ideas while trying to figure out how I can put this into material that’s gonna be interesting for the editors who are doing a hard job and are trying to make a decent trailer. From that challenge I find inspiration. While mentioning that he knows how lucky he was from the start, he still has some advice to share with young and aspiring composers. Even though, also according to him you will never know for sure what will be the next big trend in the industry, there is one crucial thing to keep in mind when approaching a career as a composer or artists in general: Always remind yourself that it’s not just art for it’s own sake but a profession you want to make a living from – and that you should always reflect if you enjoy what you do. Try to see what interests you and how that right now could be molded into a form that could be useful for the editors who are making trailers. If you are able to put the music, that you enjoy making and you feel challenged making, to some form that can be used in some way that can be financially beneficial to you, then this is what makes you a professional. That’s the difference between being a professional and an amateur. But in the end if you don’t enjoy what you make, if you don’t think that you are going forward and progressing then it’s just not going to work. Then it lasts for a very short time if it lasts at all. In that context Alex also mentioned that he really likes his job as a trailer music composer after so many years, especially because of the challenge of restrictiveness combined with a lot of creative and temporal freedom because he basically can decide when and and what he writes and publishes. Still Alex also scored some video games and would be open for new projects at any time as well as for movie directors who would like to get him on board. You can find recent updates about Aleksandar Dimitrijevic trailer placements on his official Facebook page. His new album ‘DECADE’ is available through Imperativa Records on ITunes, Amazon and Bandcamp as well as on CD. Just click here to purchase it. 3 Comments on "A Decade of Epicness: Aleksandar Dimitrijevic about composing for trailers"
Interesting background on one of the most amazing trailer music composers out there. Thanks for sharing this :). 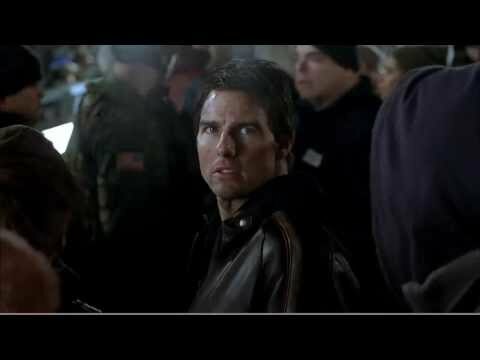 On a sidenote: The music in the War of the Worlds trailer is X-Ray Dog’s Gothic Power, not With Great Power.